[VIDEO] A group is trying to build a fairgrounds in Mason County. 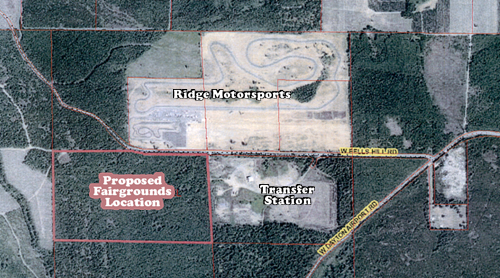 This new facility would include an NPRA arena, space for the Mason County Historical Society, a car museum and a drag strip. The proposed location of this fairgrounds complex would be on County-own property adjacent to the Eells Hill Road Transfer Station. The group is asking to lease this property for 30 years, build the facility and at the end of the lease, turn it over to the County. Rahn Redman is heading up this effort. MasonWebTV Powered by HCC sat down with Redman recently at Nita’s in Shelton to talk about the project. The property in question is owned by the Mason County Roads Department and any type of lease would have to be done through the County’s General Fund which is managed by the Mason County Commissioners. County officials are in the process of determining the value of the property and whether to move forward. A possible next step could be transferring money (the value of the property) from the General Fund to the Roads Department. That could mean a substantial reduction in available funds for services and departments that are funded through the General Fund. If you have questions about the concept, you can call Rahn Redman at 360-427-2538 or one of the Mason County Commissioners.